Volume Price Breaks can be seen for each product by clicking on its respective link under the DESCRIPTION column and looking to the volume price break table to the right of the product image. Price per unit is reflected in this table and used during checkout. CAPLINQ lists all its prices without taxes, shipping payment charges or discounts. CAPLINQ has entities in Canada and the Netherlands, and if your shipping address is one of these two countries, applicable taxes will be applied. If your shipping address is to the United States, we request your company?s Employer Identification Number (EIN) or Tax Identification Number (TIN). This is a unique 9-digit number assigned by the IRS and is required for all cross-border shipments. Failure to provide this number could result in delays to your order. DON'T LIKE THESE PRICES? Tell us what you will pay for what order quantity. 1 Permacel® Kapton®, 3M®, Furon® and Intertape are registered trademarks of Nitto, DuPont, 3M, Saint-Gobain and Intertape respectively and are not affiliated with this site. Sorry, there are no related videos for 1mil Polyimide Double-Sided Silicone Tape Double Liner at this time. CAPLINQ is different. Unlike other business to business enterprises, we encourage our customers to discuss, critique, and otherwise comment on the products we offer. Get more technical information, read detailed posts, and see what customers have to say about about 1mil Polyimide Double-Sided Silicone Tape Double Liner on our Corporate Blog and Forum. 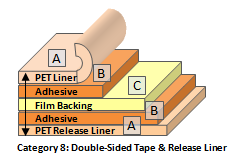 Read more about 1mil Polyimide Double-Sided Silicone Tape Double Liner on our Blog. 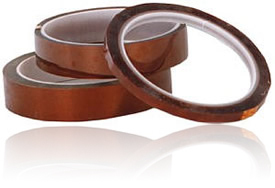 Join the discussion about 1mil Polyimide Double-Sided Silicone Tape Double Liner on our Forum.